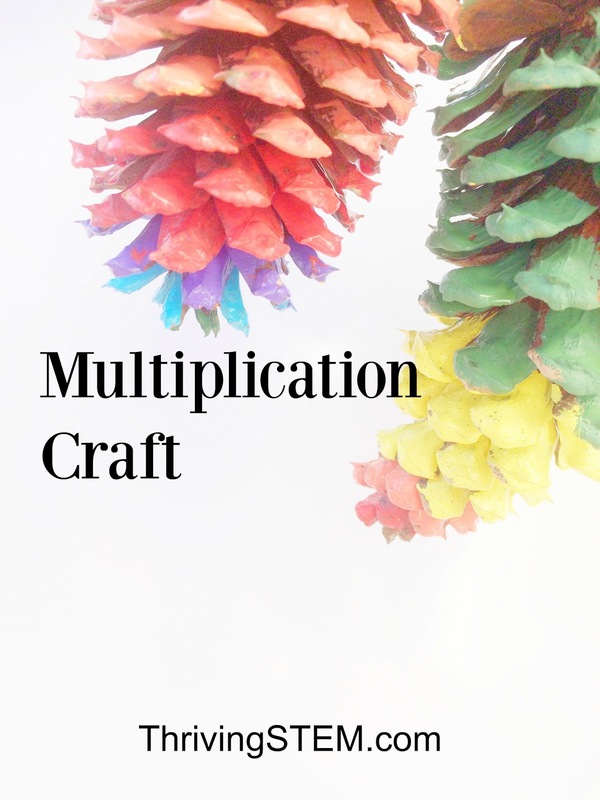 Multiplication practice from a nature art approach. 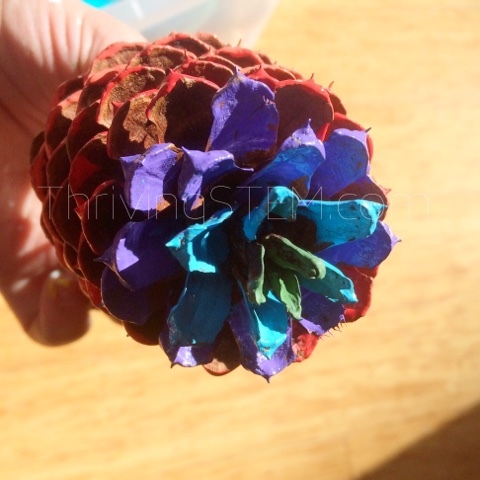 Use pine cones to make math fun. 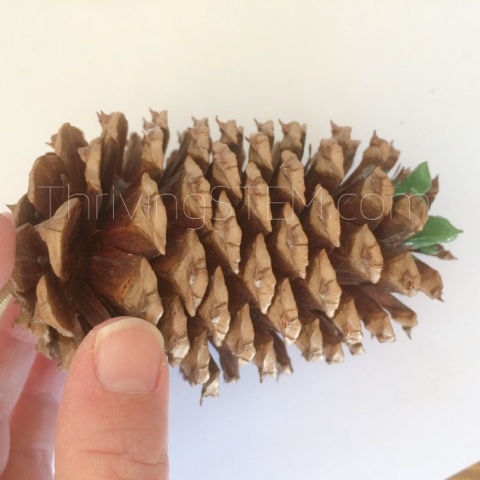 At 1:00 pm, a young student stares out the window, oblivious to the math lesson: at 4:00 pm, that same student stares at a pine cone she found on the walk home. Her eyes follow every crevice, and as her fingers trace the rough sticky surface, as she breaths it's fresh aroma. Fluently multiply and divide within 100, using strategies such as the relationship between multiplication and division. 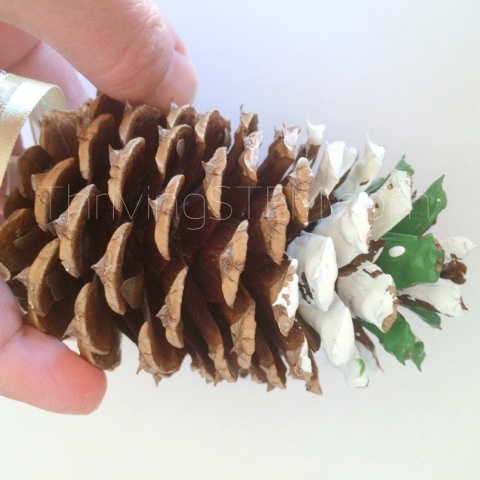 You may want to glue ribbons to the pine cones before starting to paint. Tell your students to choose their base number, and paint that number of bristles. Here, I started with two. Next, tell them to take their base number times their multiplier to get your second number of (n2). Here 2x2=4, so I painted four bristles. Now, tell them to multiply by the second number (n2) by the multiplier again to get the third number (n3). In this case, 2x 4= 8. If you're working with a large group, it might be easiest to have them go back to the original color as I did here. Continue multiplying each result by the multiplier, and painting the new number of bristles until they reach the end of the cone. Here I started with a base number (n0) of 3, multiplied by three each time. (f= 3n). I chose a new color each time. On this one, I began with three and multiplied by two . f=2n and n0=3. You can really see the effect of the starting number and the chosen multiplier. 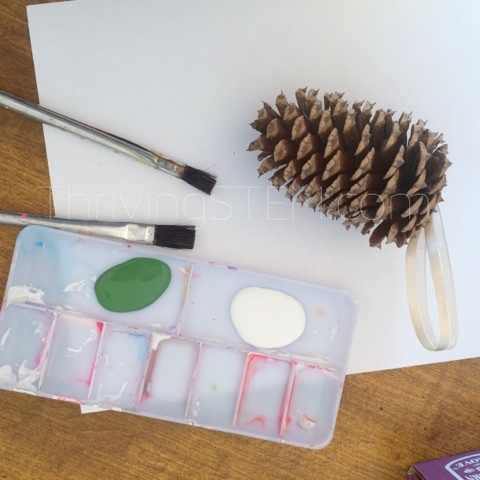 As your students work, they will have the chance to notice the pattern of the pine cone. Your little naturalist may find herself enthralled with math yet. Ready to try this project with your class? 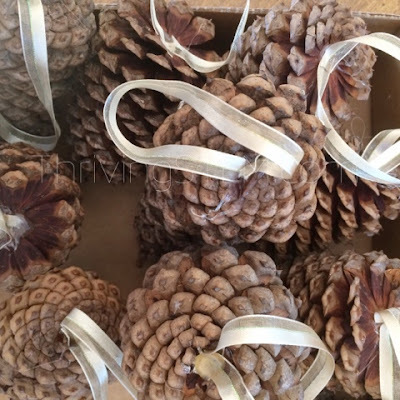 Get your free printable directions, shopping list, and parent letter asking for pine cones. 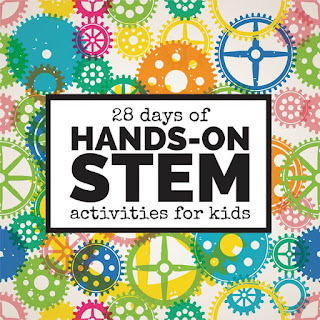 This craft is part of the 28 days of hands-on STEM hosted by Left Brain Craft Brain. 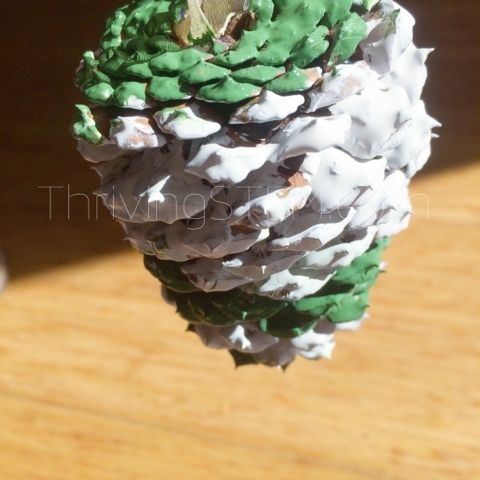 I love pine cones and pine cone crafts. Cool! Thanks! I agree. 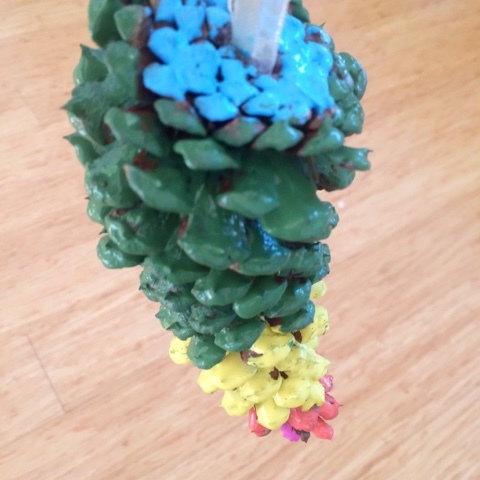 Pine cones are really cool. We have found lots of pine cones lately, so will try out!! Thanks! ! !